Peter Wells goes through the Superfly 2 card’s main fights ahead of what promises to be a huge night of boxing. 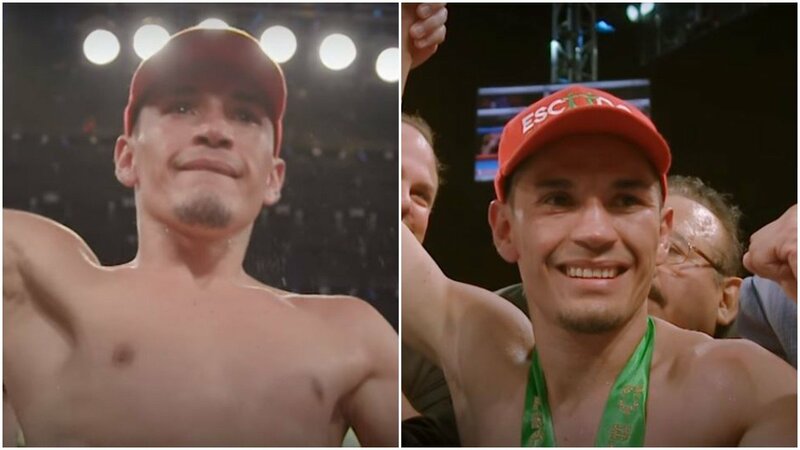 This time around ‘SuperFly 2’ has branched out beyond the Super Flyweight division, and includes two world title clashes between the Flyweights. Two of the finest Flyweights on the planet meet as Donnie Nietes 40-1-4(22KO’s) will look to wow a global audience in the first defence of his IBF crown. His opponent is the former WBA Flyweight king, Juan Carlos Reveco 39-3(19KO’s) of Argentina. Reveco’s invincibility was blunted by a points loss to Kazuto Ioka, before it was well and truly broken by Ioka in the rematch as he was halted in the 11th. Time out of the ring and a confidence boosting trio of wins at home have led the 34-year old to this last chance saloon. But in Nietes, the former Light Flyweight and Minimumweight ruler has looked untouchable, not losing in over 13 years. Only a draw in 2013 has blotched his perfect world championship record, and that was avenged when he beat down Moises Fuentes in 9 rounds the next year. He has yet to score a stoppage in his new division, and that may not change on this night. Reveco will be competitive in the first half of the contest, but by rounds 8 or 9, the fight will have been beaten out of him, but he will be tough enough to hang in there, while Nietes cruises to a unanimous decision win. The vacant WBA Flyweight title is up for grabs when the always exciting Brian Viloria 38-5(23KO’s) meets Azerbaijan puncher Artem Dalakian 15-0(11KO’s). Dalakian now fights out of Ukraine, and will head outside of his adopted homeland for the first time. He has impressed in picking up Continental and International titles, but he is now facing a 37-year old who has seen the very best that the lighter divisions can produce. But Viloria is far removed from the fighter that broke the hearts of proud Mexican’s on hot streaks in Giovani Segura and Hernan Marquez respectively. And one feels his 9th round stoppage loss to Roman Gonzalez should have signalled the end. But Dalakian will never have faced a fighter with the variety of punches that Viloria can still produce, and if the 30-year old is not the finished article yet, then he will be exposed at the Inglewood Forum. There is a distinct feeling that Viloria upsets the odds here, but the pick is a safe one, and one in which Dalakian’s good start is enough to see off a late charge from the Hawaiian who senses his opponent cannot hurt him. By that point it will be too late, and Dalakian can escape with the WBA title on a split decision. Back to the Super Flyweights and Carlos Cuadras looks to set himself up for the winner of the main event between Juan Francisco Estrada and Srisaket Sor Rungvisai. Cuadras 36-2-1(27KO’s) has lost two of his last three, but neither in reputation damaging fashion. Losses to Gonzalez and Estrada in fact highlighted that Cuadras is a huge threat to any world champion at Super Fly. But his concentration must remain when he meets two-time world title challenger McWilliams Arroyo 16-3(14KO’s). Arroyo was a quality amateur, and moved through the pro ranks quickly only to come unstuck on a split decision to Amnat Ruenroeng. His last outing nearly two years ago saw him lose almost every round to Roman Gonzalez. The Puerto Rican will be in shape, but not the sort of fighting shape that can prepare a fighter for such a battle. The 10-round distance should ensure it goes to the final bell, but Cuadras can impress in spurts to win a shut-out.